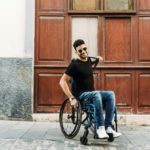 Praise be for Invacare wheelchair accessories! They’re absolute lifesavers when your hands are full but you need a crafty cup holder for a pint, or you’re out and about doing the shopping and you need somewhere to put all those purchases. 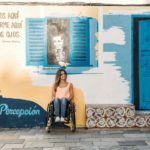 A short while ago, a news story of a wheelchair user seen with bags piled on top of them went viral. Clearly, it was not a good way to carry shopping. Hanging shopping bags off the wheelchair’s handles happens often but can also cause problems with stability. Alternatively, dumping everything on your knees is uncomfortable. It also makes it hard to push yourself along, and you won’t be able to carry much that way. What’s more, when wheelchair users hang bags over their push handles, this can cause problems to the chair. Over time, the weight of the bags can cause the backrest canvas to sag so that ultimately it needs to be replaced. A sagging backrest is less supportive too. Trying to get on without proper wheelchair bags clearly has major downsides. Yet wheelchair shopping bags are widely available – not to mention a really effective way to carry shopping. A bag purpose-made for your chair preserves the back rest’s integrity, and allows you to carry your shopping comfortably. 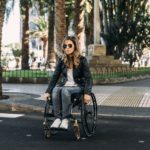 There is a growing trend to make disability accessories more attractive and fashionable, and this is reflected in the wheelchair shopping bags that are available. While some people prefer plain bags, for those who want something patterned or brightly coloured, there are options available. For people with disabled parking badges, pretty cases can also be bought to store and display them when they are in use. There are many designs available, made from different fabrics to suit your style or your mood. Discrete urine collection bags. 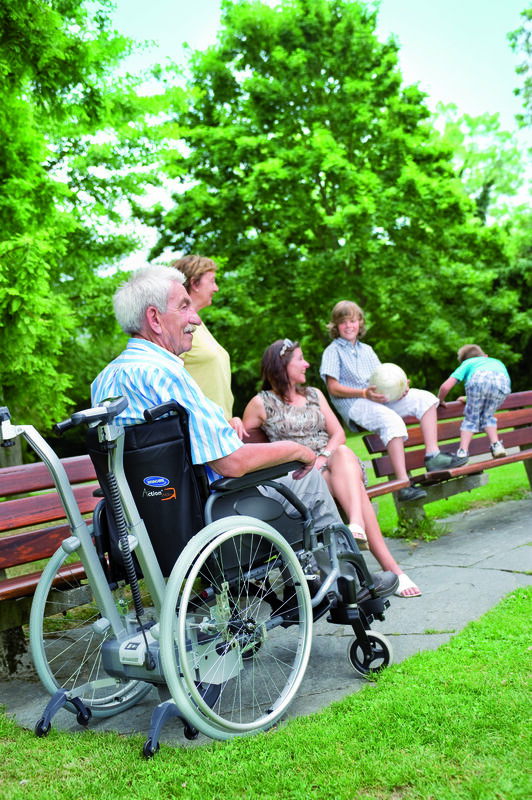 Many wheelchair users have catheters, but dread going outside in case people stare at them. A little black bag is all that’s needed to stow a catheter away. 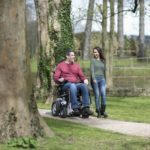 A company called StyledWel has created a great piece of kit called ‘Legg-ins’, and there’s a version that goes round the back of your wheelchair too. Cup holders. This is a basic bit of kit that offers convenience at a barbecue or party. There’s a wide selection available on e-Bay, including this universal model. Getting a cup holder that fits tightly to your chair will hold it safely out of your way and avoid spillages. Wheelchair trays. These are great to balance your shopping basket on at the supermarket, or for putting your plate on during mealtimes. Some even have an in-built cup holder. Wheelchair gloves. These are specially designed to be sturdier and longer lasting than normal gloves, and some help to stop repetitive strain injury too. 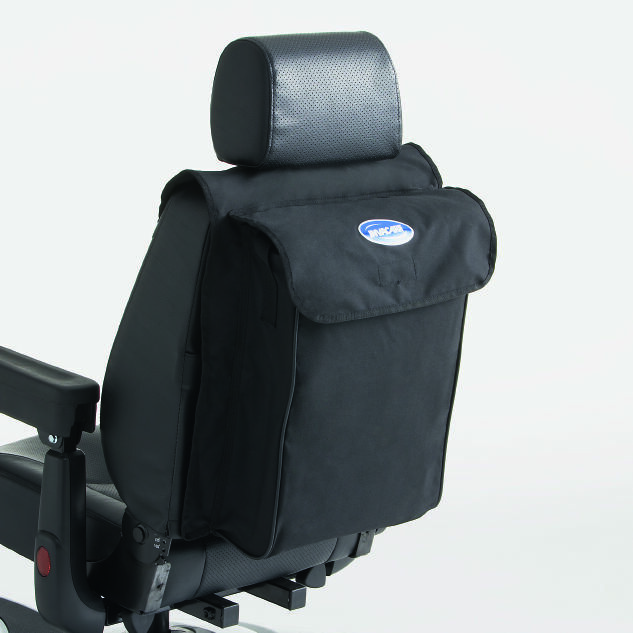 They keep your hands dry, clean and safe when you self-propel your manual wheelchair. As your hands will go through a lot pushing your wheelchair along, a good pair of gloves for wheelchair users is a wise investment. Alternatively go into a mobility store to try before you buy. The right accessories can make a real difference to your day-to-day life. So choose wisely before you splash out to be sure of getting items you’ll swear by for years.